At the Law Offices of David A. Helmer, LLC, our skilled team of dedicated, community-involved lawyers serve a diverse clientele in Summit County and statewide. Our friendly, professional staff is always prepared to confront any challenge that you bring to us, in any of our chosen practice areas: family law and divorce, business law, business litigation, estates and probate, and criminal defense. 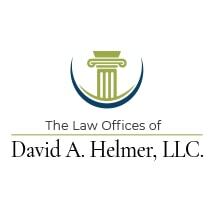 The firm's keen commitment to clients and community began in the mid-1970s, when founding attorney David A. Helmer established our law offices. Since that time, Mr. Helmer has earned numerous honors, including an AV Preeminent* rating from Martindale-Hubbell and a listing in the Top 100 Trial Lawyers in Colorado for 2012. Attorney Natalie French has more than a decade of successful practice to commend her, as well as extensive litigation experience. Associate Alex Marsh applies strong educational credentials and unique skills to address our clients' legal concerns. Are you desperate for sound legal advice while a business startup, probate dispute over a will or trust, criminal investigation or contested divorce looms on the horizon? Our respected business, divorce and criminal law firm focuses all initial consultations on your case and your needs. To arrange this critical first meeting, to candidly discuss your issues, contact us in Frisco, Colorado, by phone or by email message.